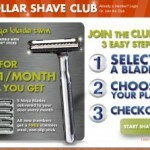 Dollar Shave Club: Razors for $1 per month! 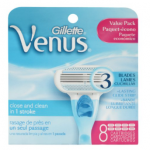 You are here: Home / online shopping / Dollar Shave Club: Razors for $1 per month! Razors are getting more and more expensive and it’s getting harder and harder to find deals on them! Dollar Shave Club is committed to helping you find the best deals on razors and you can get them delivered straight to your home! Prices start as low as $1 per month! Each plan also includes the compatible handle. Plus, you get FREE SHIPPING on your first order! 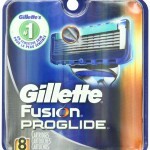 My husband is picky about razors and only uses the Gillette Fusion Pro razors. I decided to give the $9/month plan a shot to see what he thinks! A razor is $9.99 and the cartridges for the Fusion Pro are $21-$30 for 6 (and that is if I get them on sale). So, I figure it’s worth a shot and if he doesn’t like them, I can always use them! You can cancel or downgrade/upgrade your plan at any time! If you’ve tried it already, be sure to let me know what you think! 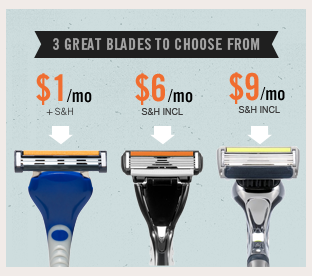 Dollar Shave Club = razors for as low as $1.99/month! 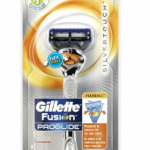 Gillette Fusion ProGlide Razor Cartridges just $15.99 shipped! 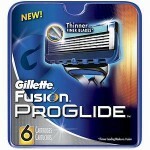 Gillette Fusion Razors Stock Up Deals!